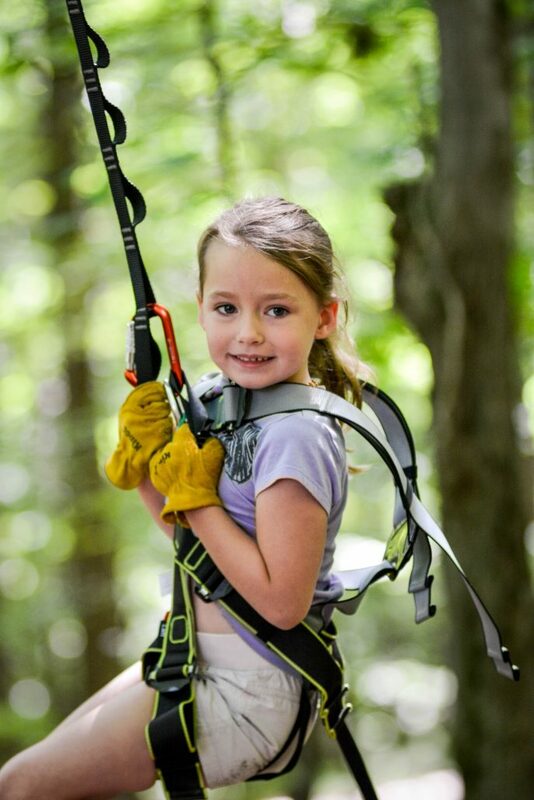 Climb through the trees at Bristol Mountain Aerial Adventures. 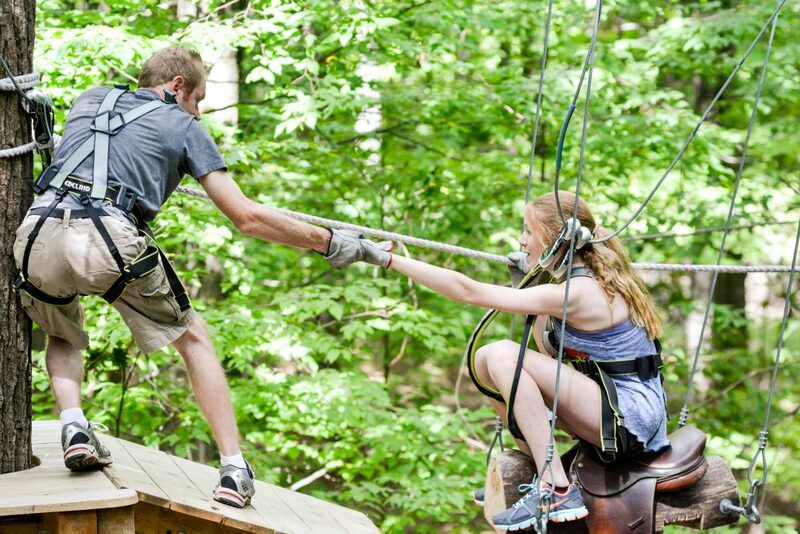 The park is made up of 7 courses (2 of which have alternate endings) with varying levels of difficulty. 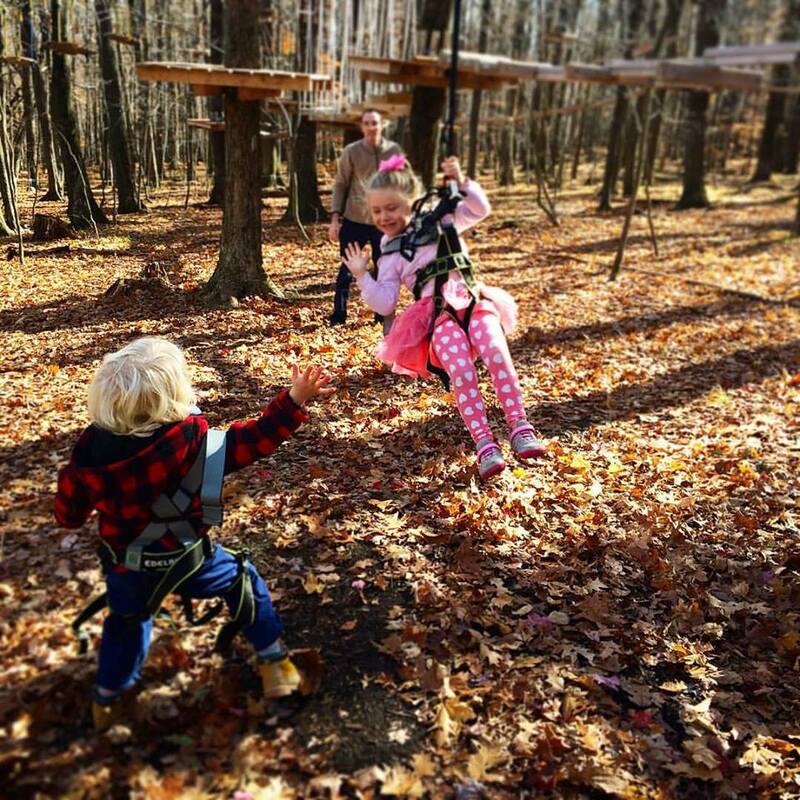 Each course is made up of 12-15 obstacles. There are 2 yellow courses, 2 green courses, 2 blue courses, and 1 black course. 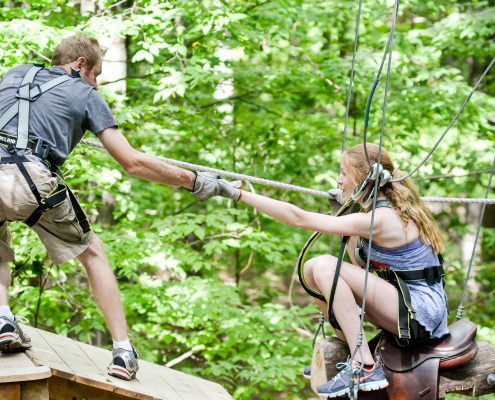 Obstacles include things that you might have seen before like zip lines, tight rope walk, rope ladders, and bridges, but there is a also the opportunity to try unique elements like sailing through the trees on a skate board. 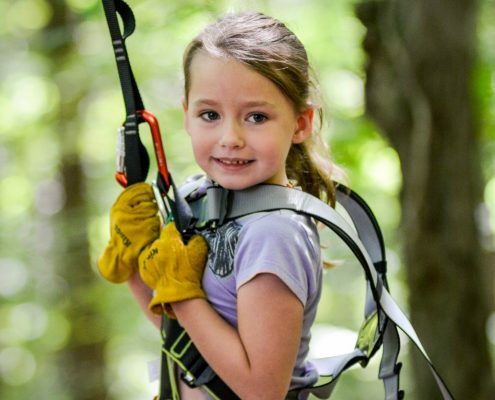 In addition to the main Adventure Park Bristol Mountain Aerial Adventures also has a Kids Adventure Park that is made up of 2 courses that were designed for kids between the ages of 4 and 7. 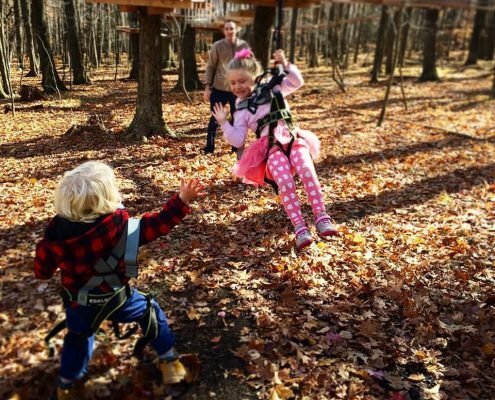 It’s an incredible feeling to watch your kids gain confidence as they navigate through the different obstacles!